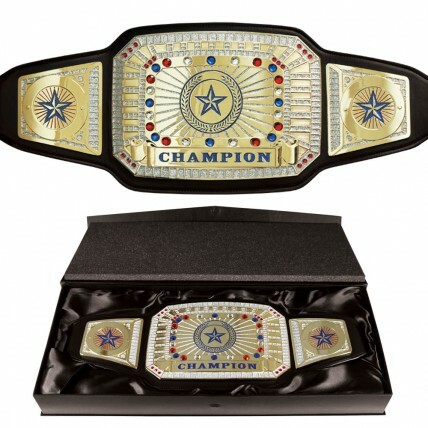 A triumphant victory deserves the Championship Award Belt! This epic belt measures 52" wide and 10" tall with 8 rows of heavy duty snaps for closure. 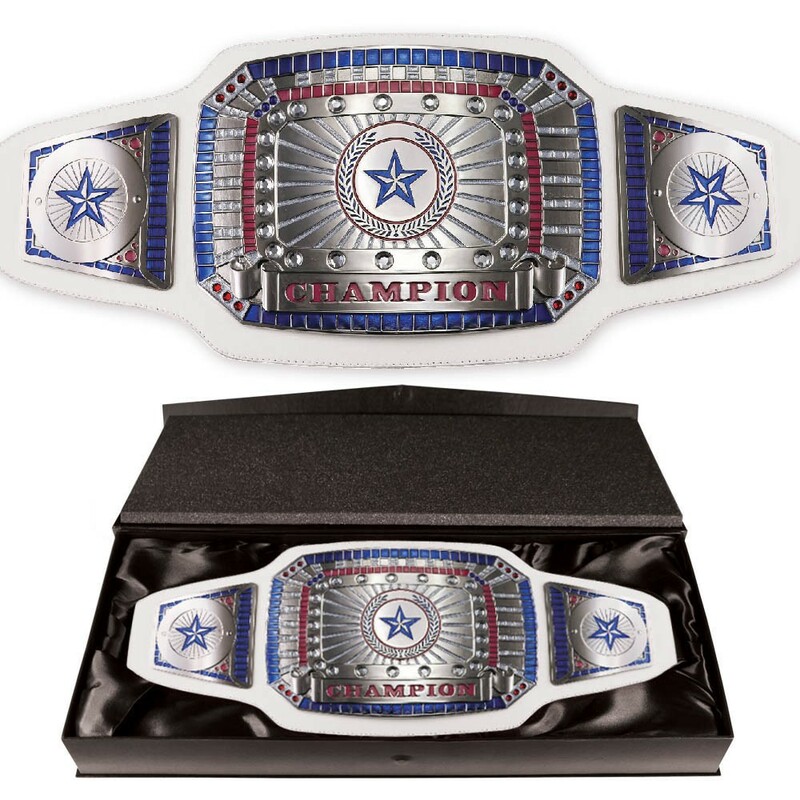 It features a 9 3/4" by 7"center plate with a star and the word "Champion" surrounded by 42 synthetic gemstones and a glitter epoxy border. The crown jewel of your next event, choose gold plates with black leather or silver plates with white leather. Includes elegant, satin lined box for presentation. Note:This award does not have engraving and cannot be personalized.